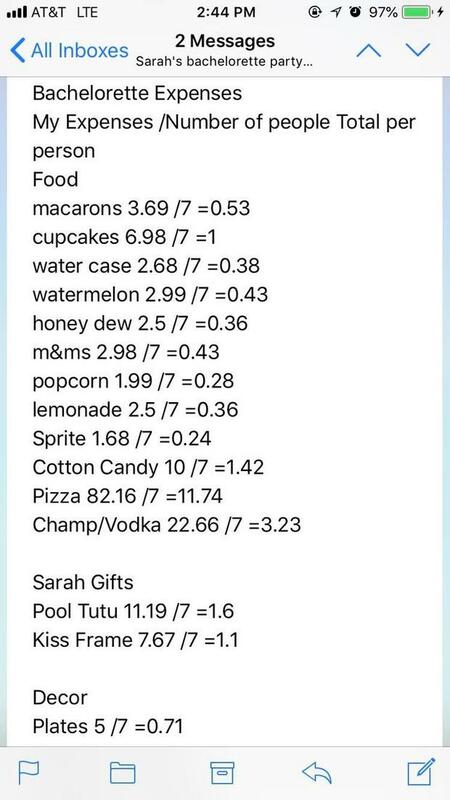 Appearing on Reddit, the invoice in question is indeed a detailed one - one that carefully breaks down the cost, seven ways, of things such as popcorn, lemonade, pizzas and... a melon. 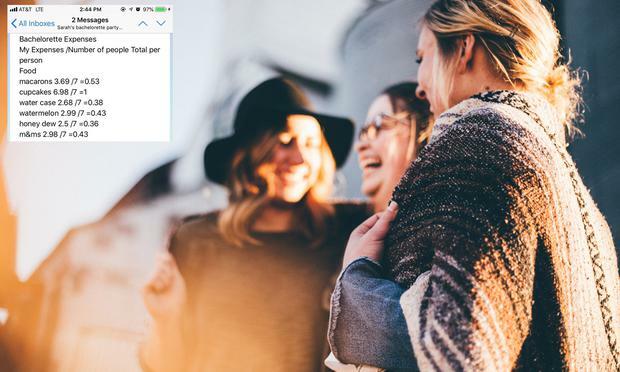 "So I received an invoice from the bachelorette party" an anonymous hen party attendee writes, with the bill titled 'Sarah's bacherlorette party' attached. Of course, as all wedding-related threads are want to do, the post was met with immediate bafflement and amusement from fellow forum users who all wanted to know more about the unusual list which detailed costs such as 53cent for macarons (total cost $3.69) and $2.98 M&Ms - split between seven people at 43cent each. The original poster explained that the list went on, detailing items such as napkins (28cent) and other decor hen party attendees were expected to reimburse her for. The itemised invoice has divided opinion, with some shocked at the sheer extent of the detail and cost of some items, and others congratulating the apparent 'bride' for her transparancy.